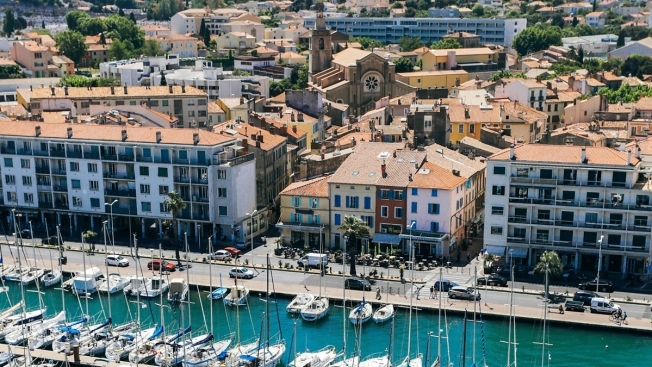 This file photo shows an aerial view of the harbor of La Seyne-sur-Mer in southeastern France. A sense of edginess has been with France since a murderous series of killings in 2015 in the name of the Islamic State group. Adding to concerns are the hundreds of French who have traveled to the Iraq-Syria war zone, or are returning as ISIS crumbles.